Hi, my name is Fiona, I am 43 years of age and was born in England. I came to Australia on the ten pound boat ride at the age of one with my brother and parents. I have become naturalised and have lived in Australia for a good part of my life. I am a member of several community committees and a Justice of the Peace. 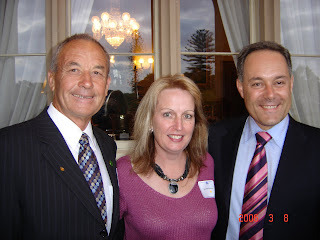 The photo attached was taken when I became Woman of the Year for the Orange Electorate. I am married to a wonderful man called Paul who does a marvellous job in keeping us all so connected. We have 8 children between us, 6 of which live in Australia with us. Our children and family life gives us much joy and is a priority in our lives. We have had a strong passion to see children have happiness and in giving them the best opportunities in life, so much so that we have opened the doors of our home for the past few years to be Foster Care Parents. This has been a deeply moving experience for our family and just emphasises the diversity in each and every person’s life. Being a mum is one of the best professions in the world I believe! My employed profession is as a Registered Theatre Nurse at Orange Base Hospital. I completed my study in 2000 (a late bloomer, to busy having children) and then specialised in Theatre Nursing the following year. I enjoy my work place and I work with amazing people. Being in charge of shift, meeting the many challenges that face you in emergency situations and connecting with people make my job extremely rewarding. I keep going back to the importance of family as it is a choice Paul and I have made in our lives to only work part-time. We are able to fulfil our other commitments and engage with our interests. Paul and I have recently set up a new business called “back 2 family basics” http://www.back2familybasics.com.au/ where we have developed and printed our first resource package with many more to come. This is exciting for us as we are able to work together from home. Prior to that we Founded another organisation called Australian Family Matters (Not For Profit) http://www.australianfamilymatters.com.au/ which has been set up to provide support and networking for children, youth and families. This site is a great success and is now looked after by a Board of community members. 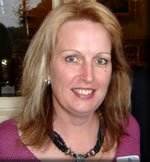 I have been elected as a Councillor for Orange since 2004 after being invited to run with long serving and well respected Cr Margaret Stevenson OAM. When elected there were 3 female Councillors and a variety of professions. At the next election I ask that you support and encourage further female representation. I am not affiliated with any political party and believe there is no room for party politics in Local Government. We are meant to be here for the people of our community, not to follow party lines. I believe that our council needs some new blood and there needs to be some changes. I am standing again because I have enjoyed my previous years and feel there is more to achieve. I believe some of us have worked really well and our achievements have been resounding. There has been unprecedented growth and we are keeping ahead of the game with the administration of Council. Orange City Council is in a sound position and the progress of Orange is unstoppable. We need people on Council who are forward thinkers, who have a broad vision for our community. After surveying students we learnt the requirements for a BMX track in Orange. Being the chairperson of the working party it didn’t take us long to develop a conceptual design for both tracks with the opportunity of being able to re-adjust at any time. A BMX club is being set up now with a possible Olympian in the future. Ronald McDonald House Orange- Being a Board Member and fundraising for accommodation unit at the hospital for children and their families. Cancer Care Western NSW- Being a Board Member and fundraising for an accommodation facility for patients and carers when undertaking cancer treatment. Assisted with the production of a DVD on cancer treatment emphasising the impact of long distances to travel for patients at this time. Children’s Memorial Garden- Mt Lindsay/Rotary Park – actively worked with community members and council to lobby for and confirm the location of this garden. Plans have commenced on fundraising for and design of this garden. Glenroi Park- actively sought funding from additional sources for play equipment at Glenroi Park. Worked with council staff to meet with children and identify what type of equipment they preferred. After I successfully moved a motion in Council, Orange Central Business District will become more accommodating for bike riders with several bike racks soon to be installed. I initiated the development for a partnership with Orange Police, local schools, services clubs and Council to provide bicycles to schools. This project has enabled children to learn cycling skills, bike safety, maintenance and the opportunity for an alternative mode of transport. I am also proud of the fact that I have been involved with some of my fellow Councillors in securing funding for The Northern Distributor Road, CCTV cameras, the William street lights, Anzac Recreational Facility and 4.5 million toward the water management program for Orange. As you can see I work hard on commitment and in providing the best possible outcomes for Orange and our satellite towns. I bring to Council a well balanced person who has an independent mind with a particular interest in people and their lives (this is why I have chosen my profession as a nurse also). I have undertaken extra education in my own time to better understand the many areas of Council life so I am able to make informed decisions and keep up with the times. I also have an extensive network which allows me the opportunity to connect with other people along with sharing ideas and resources. I have commenced “The Australian Rural Leadership Program” which runs for 18 months and only accepts 35 people annually from Australia. The programs to date have been life changing. I feel very privileged to be a part of this organisation and can already see the benefits for regional and rural Australia’s future. Remain active and further progress the development of our new base hospital with further specialist services. Continue to speak out and make change on poor access to the South for the many new facilities and organisations. We are a growing city and so the Southern link should occur. Also progress Cr Ryan’s motion for the Spring Creek Bridge by providing a link and access over this route. Continue to lobby for increased accessible parking in the CBD with an emphasis on particular parking zones for residents. Increase the awareness and impact of Climate Change via education whilst working with our Council on measures to reduce our Carbon Footprint. Continue to be active in progressing Orange’s future water plans, whilst gaining funding from other resources to reduce impacts on rate payers. Continue to advocate for further bike and walking trails, sporting facilities and events and promote shared space concept. I also encourage you to consider my team members when placing your below the line vote marking up 6 of your votes with us. Thank you for this opportunity and I do hope I can represent Orange again in the future!